Brown Bear in Rosyth shows football on TV. The pub has Sky Sports, it has terrestrial TV. 25/05/2016 Dont normally drink in rosyth but this did it! 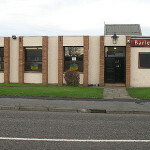 Rosyth Ex-Servicemen's Club in Rosyth has a function room that can be booked. The pub has a dart board, it has live music events. Rosyth Ex-Servicemen's Club has a pool table. The pub shows football on TV, it has terrestrial TV. Rosyth Civil Service Sprts Cnt in Rosyth has a function room that can be booked. The pub has an outside area, it shows live comedy. Rosyth Civil Service Sprts Cnt has a dart board. The pub has DJ's, it has karaoke. Rosyth Civil Service Sprts Cnt has live music events. The pub has a pool table, it holds quiz nights. Rosyth Civil Service Sprts Cnt shows football on TV. The pub has terrestrial TV. Barley Sheaf in Dunfermline has a car park. The pub has disabled facilities, it is a family friendly pub. Barley Sheaf serves food. The pub has an outside area, it has a smoking area. Barley Sheaf has free WiFi. The pub has a dart board, it has DJ's. Barley Sheaf has karaoke. The pub has live music events, it has a pool table. Barley Sheaf holds quiz nights. The pub has a big screen, it has BT Sport. Barley Sheaf shows football on TV. The pub shows rugby on TV, it has Sky Sports. Barley Sheaf has terrestrial TV. Cochranes Hotel in Rosyth has accommodation. The pub has a beer garden, it has an outside area. Cochranes Hotel has a dart board. The pub holds quiz nights, it has a big screen. Cochranes Hotel shows football on TV. The pub has Sky Sports, it has terrestrial TV. Olive Tree in Dunfermline has accommodation. The pub has a beer garden, it has an outside area. Olive Tree has a big screen. The pub shows football on TV, it has Sky Sports. Olive Tree has terrestrial TV. Burgh Arms in Inverkeithing has a car park. The pub has disabled facilities, it is a family friendly pub. 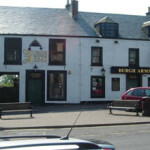 Burgh Arms serves food. The pub has free WiFi.